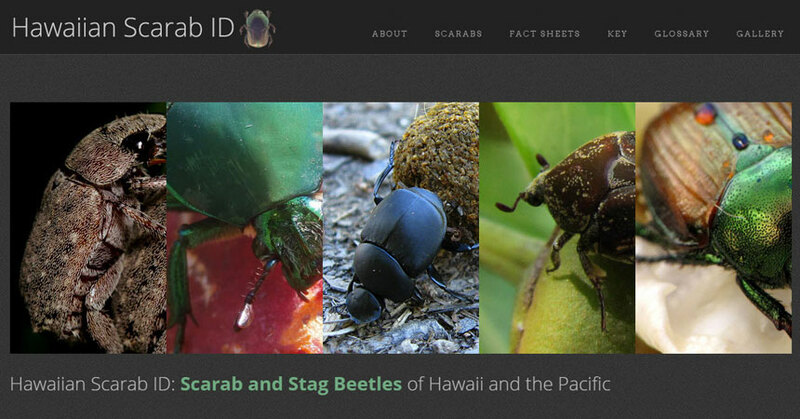 ITP is pleased to announce the release of its latest identification tool, Hawaiian Scarab ID: Scarab and Stag Beetles of Hawaii and the Pacific. In Hawaii, the recent introduction of invasive scarab species such as the coconut rhinoceros beetle (Oryctes rhinoceros), Asian flower beetle (Protaetia orientalis), and southwestern masked chafer (Cyclocephala pasadenae) made clear the need for development of a platform that allows for diagnosis by quarantine personnel, inspectors, extension entomologists, and citizen scientists with a user-friendly identification tool designed for non-specialists as well as specialists. This tool allows easy identification of adult and immature life stages of established pest species and potential new invasive scarab species. ... and a mobile app is coming soon!